Club Penguin Cheats by Mimo777 Club Penguin Cheats by Mimo777: Club Penguin Friends Reviewed By You! Someone who has been helpful to me has been one of my good friends Jennatlc. She showed me around Club Penguin and she helped me with quests along the way! We have done everything together and she is supportive to other people and follows all of the rules! Plus, she loves to help people with pins and stamps! I hope she gets the 10,000 coins because I think she did a great job! Waddle on Cp! 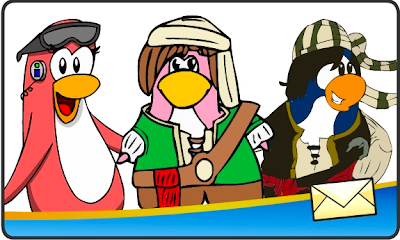 For next week's Reviewed By You, Club Penguin wants to hear about how we create adventures around the island and what has been your favorite adventure on Club Penguin with your friends? I THOUGHT THE PARTY DECORATIONS STARTED? They raise membership price and say lots of things to do but theyre behind schedule.